This is Keynesianism with a vengeance: tax and tax, spend and spend. This is the tax collectors’ siren song. “We’ll take your money, and you’ll be so much better off!” This is the economics of the New Deal: tax ourselves rich. Yet conservatives buy this argument almost every time when the word “tariff” is substituted for “tax,” unless they have read and have also understood Henry Hazlitt’s Economics in One Lesson or some similar free market economics book. They instinctively have faith in word magic: substitute a different word, and the laws of economics no longer apply. The argument for tariffs as wealth-creating devices is the equivalent of the logic of the perpetual motion machine. It is the logic of something for nothing. Only a few pathetic, naïve, and misinformed souls ever get taken in by the professional hustlers who sell them on the idea of investing in some perpetual motion machine project. 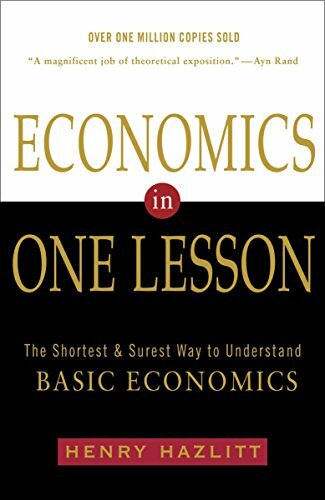 Unfortunately, millions upon millions of voters are quite willing to open Economics in One Lesso... Henry Hazlitt Best Price: $4.32 Buy New $10.66 (as of 05:35 EDT - Details) their wallets to the Federal government whenever the politicians promise endless wealth for all Americans–through higher tariffs. When they vote for this compulsory wealth-redistribution scheme, voters (as consumers) get exactly what they deserve: poorer. The inefficient domestic manufacturers who temporarily prosper under tariff protection–wealth redistribution by threat of government violence–get what they in no sense deserve: richer. If the government imposes tariffs, it collects the money for its own purposes, and those few domestic manufacturers that had faced stiff foreign competition can prosper awhile longer. Import quotas are ‘tax-less tariffs,’ but they have the same effect on consumers that tariffs do: to increase domestic prices by forcibly reducing the available supply of consumer goods. Both quotas and tariffs reduce the number of goods that producers are able to offer for sale prices that consumers are willing to pay. Yet voters continually cheer when the government imposes tariffs and quotas, despite the fact that such laws are laws against their freedom and their pocketbooks. Why? Because they desperately want to believe in the economics of perpetual motion. They truly believe in something for nothing, what Prof. Ludwig von Mises called the economics of stones into bread. They resent the economic restraints imposed on the by creation, and they also resent the intellectual restraints imposed by economics thought. They hate economics. You would be hard-pressed to find any economist after Adam Smith who has been a defender of tariffs, and none in this century, except John Maynard Keynes (after 1929). But you can find legions of non-economists who. praise the increase in per capita wealth that supposedly comes from the coercive wealth-redistribution effects of tariffs and import quotas. 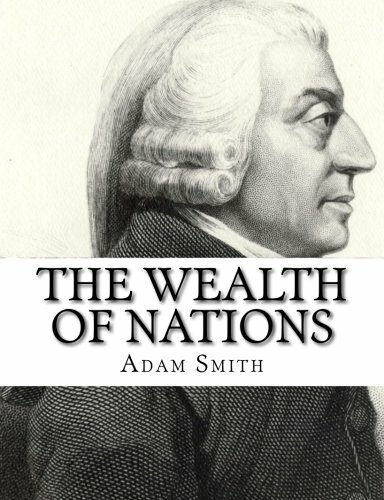 To the extent that economics since Adam Smith’s Wealth of Nations has been generally rational, it teaches, us that when the State uses coercion to restrict voluntary private transactions, most people are made worse off. The only winners are those whose businesses are implicitly subsidized by the State’s restraint of trade. To argue any other way is to return to the State-promoting economics of mercantilism. This is why Keynes became a promoter of tariffs; his economics is the economics of mercantilism. The Bible teaches that every man is to work out his own salvation (or damnation) with fear and trembling (Phil. 2:12). People are to be left free to do anything they choose unless what they choose to do is immoral.Trading with each other is not immoral, unless the item or service traded is immoral. Trade should therefore be either completely free or completely prohibited; tariffs and quotas have no role to play in improving economic morality. Bear in mind that only about 15 per cent of the American economy is trade-related. We are therefore talking about a small minority of domestic producers. But they love to tell their story as if they were the representatives of the national interest. The basic theme that the beneficiaries of this involuntary wealth transfer (read: theft by selective taxation) use so effectively to promote their cause in the United States is the slogan, “Buy American.” To make the issue clearer, let us consider the logic of this phrase. Understand, cause-and-effect logic is what the defenders of tariffs never give you. But Americans have this distressing tendency–one shared by buyers in every nation in the world–to buy what they regard as bargains, irrespective of “Made in U.S.A.” stickers. When Americans “buy American,” they have in mind something very specific: “Buying what this American–yours truly–chooses lo buy.” They seldom worry about the supposed wisdom (let alone the supposed moral excellence) of buying only what another American chooses to manufacture. Does this indicate a lack of patriotism? Did all those people who bought Volkswagens in the 1950’s deal the national interest a body blow? After all, they could have bought DeSotos, or Studebakers, or Packards. Why, they could even have bought Hudsons. But they didn’t. Are we willing to modify ex-GM President Charles Wilson’s famous phrase? Are we willing to declare, retroactively, the “What’s good for Hudson is good for America”? Would anyone buy that bumper sticker? I doubt it. I am not really arguing that Volkswagen bankrupted Hudson. Ford, Chrysler, and General Motors bankrupted Hudson. But in the 1970’s, foreign imports put the squeeze on “the Big Three” auto manufacturers. Imports began to pressure the formerly victorious “bankrupters.” Howls of outrage started coming from the former winners in the competition for the consumer’s dollar. “Save us from these merciless competitors!” The shoe was now on the other foot, and from the point of view of economic analysis, they didn’t have a leg to stand on. For over two decades, 1950-1974, foreign auto manufacturers had been selling cars that burned less gasoline. Americans in the 1950’s didn’t pay much attention to them. The gas-guzzler was a national institution, a 75-miles-per-hour, 14-miles-per-gallon temple to the promise of unlimited growth and 4 per cent GNP increases, compounded annually, forever. Today, some people argue that the gas-guzzler is innately evil, a destroyer of energy supplies. But Americans did not need stern lectures from Volvo-driving sociology professors to teach them about the evils of the gas-guzzler after 1974. They remembered this lesson clearly enough every time they drove away from a gasoline pump. They started buying smaller cars.